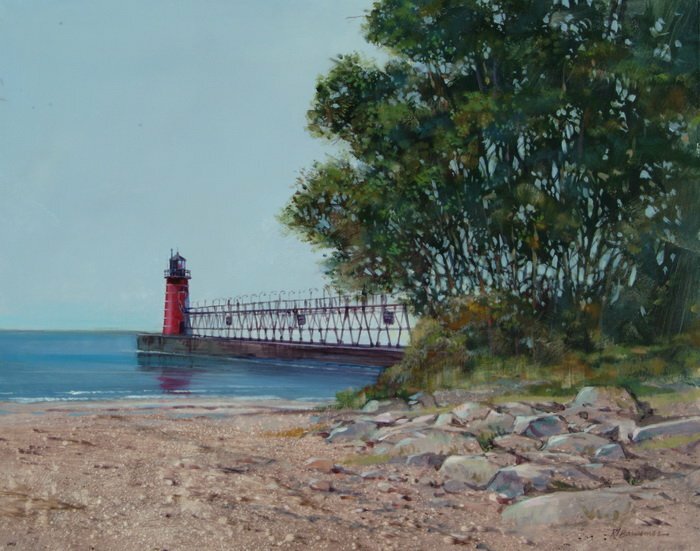 South Haven, Michican on the Great Lakes is the location of this painting. It was done for our PBS television series “Painting and Travel with Roger and Sarah Bansemer”. During the program Sarah also interviewed the caption of the schooner Friends Goodwill. The painting features an interesting perspective of the walkway and also a great deal of texture in the foreground with the small pebbles and rocks.